The relevance of this study is due to the need to investigate the issues of international cooperation and international conflicts in the exploration of the Russian North in the early 20th century. 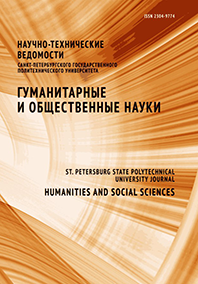 Comparative historical, formal logical, and structural and functional methods were used to systematize the archival information and determine the main trends in the discussions of the State Duma of the Russian Empire. The stenographic records of the State Duma of the Russian Empire have been analyzed. We have discussed various approaches to the exploration of the northern regions of Russia by representatives of political parties and authorities. We have revealed the difficulties that existed in the political and economic relations of Russia with foreign countries concerning the use of the natural resources of the Russian North. The problems that prevented the successful development of this region have been identified. The documents referred to in the article are introduced into scientific circulation for the first time ever. They can contribute to understanding the problems of the exploration of the northern regions of Russia in the early 20th century. Conclusions: the natural resources of the Russian North were the subject of interest of Russia’s neighbors who considered these regions to be a promising market. Russian merchants, in turn, did not want any competitors to interfere with the successful operation of their business. The development of the Northern Sea Route could have contributed to the development of Siberia. However, the authorities of the Russian Empire paid no sufficient attention to the above-mentioned problems. The First World War convincingly proved this approach was incorrect. The material of the article can be used to study successes and failures in the exploration of the northern regions of Russia that were important for its economy and defense.